New research, led by Paul L. Morgan, Harry and Marion Eberly Fellow, professor of education and demography, and director of Penn State's Center for Educational Disparities Research, has found that, among students in Kindergarten through eighth grade, students who are black are more frequently suspended than white students of similar behavioral, academic and socioeconomic backgrounds. However, students with disabilities, including those of color, were not more frequently suspended after accounting for the study's other explanatory factors. The findings were recently published in the Journal of School Psychology. 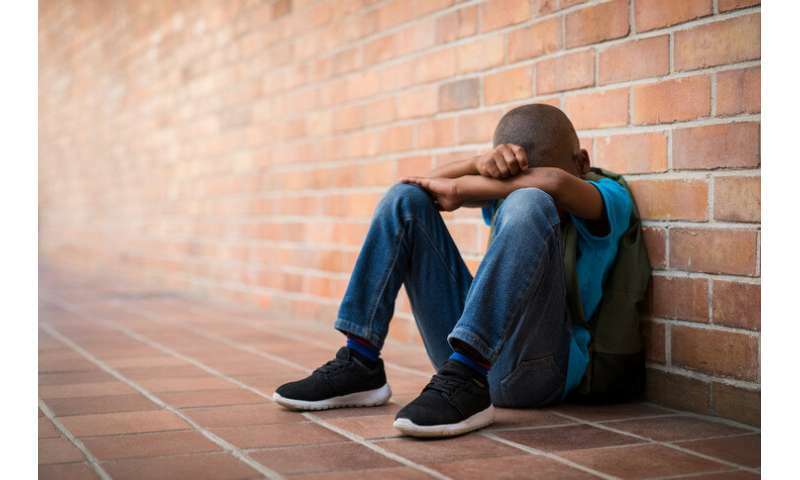 "Students who are suspended are at increased risk for lower academic achievement, school dropout, juvenile delinquency, substance abuse and adult criminality," said Morgan. "The purpose of these protections is to make sure that students are not missing out on services that they need. The protections also make sure that students with disabilities are not being inappropriately disciplined due to a lack of effective support," Morgan explained. The investigators analyzed 6,740 students who were participating in the Early Childhood Longitudinal Study-Kindergarten cohort 1998-1999, a data set collected and administered by U.S. Department of Education's National Center for Education Statistics. Data collection started with the 1998-1999 kindergarten class and followed them through eighth grade. Students with disabilities were initially at greater risk for more frequent suspension, but their risk was subsequently explained by the study's other factors. Neither students of color with disabilities nor those with specific disability conditioners were at greater risk. "It's a complex issue, because schools need to maintain a safe learning environment for all students, but at the same time schools should not be using suspension in ways that are discriminatory," Morgan said. "The results provide suggestive evidence of bias in how students of color are being suspended, at least as indicated by their more frequent suspension not being explained by many other factors including behavior at school entry, growing up in poverty, or attending schools in more economically distressed communities."